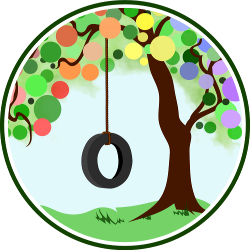 This entry was posted in Balance, Consensual Living, Gentle Discipline, Parenting Philosophies and tagged children, compassion, peaceful parenting. Bookmark the permalink. We are not always going to agree with the adults in our children’s lives. This is simply unnatural and unrealistic. Simply because we are all a bit different from one another, there will be times when we will disagree with others in the presence of our children. Perhaps we disagree with advice from our own parents, we don’t see eye to eye with our partner, friend, neighbor or store clerk. When it comes to disagreements, there is one fundamentally important thing we can do for our children. This is something that surely is easier said than done, yet is so very important that we try to do so. Why is it important to model respect? Children learn about respect, like most other values, from the adults around them. The most important role model children have are the important and trusted adults in their life. Respect is something we often talk about wanting to receive from our children. We wish for our children to use manners at the table, share nicely with friends, accept defeat in board games and speak “nicely” to their friends, siblings, teachers and others. How often do we forget to model respect? How often do we mumble swear words at the speeding driver, grumble about something our partner forgot to do? Ever catch yourself shouting something mean to your partner, perhaps name calling in the heat of the moment? Treat others and your child the very way you wish your child will treat the world. So how can we model respect during a disagreement? Express your feelings and thoughts with the intent to be understood, not to wound. Agree to take a break from arguing when things get heated. Your points will be understood better by others if you are able to express yourself calmly. Modeling respect is about being fair to others, but we should not do this at the expense of our own needs. Children need to learn about self-respect as well. Avoid breaking down your own boundaries and be mindful of accommodating others more than your own needs. State your boundaries clearly “I am not comfortable with . . .” and “I wish for . . .” work well. It’s ok to stop a disagreement assertively “I am not ready to discuss this right now. I need a break and I am willing to talk again another time.” Avoid using violence to get your point across, this includes name calling, put downs and threats. Modeling respect during arguments really matters. Children feel particularly upset when parents use put downs and derogatory language towards one another. Watching parents have a fight lights up the same region in their brains that lights up when children are feeling attacked or in danger. What if you just can’t keep your cool? If you do have a disagreement with someone in front of your child and you forget to do so with respect, when you are ready and able, model asking for forgiveness to that person, with the children present. This shows your child how to rebuild a relationship after a mistake. 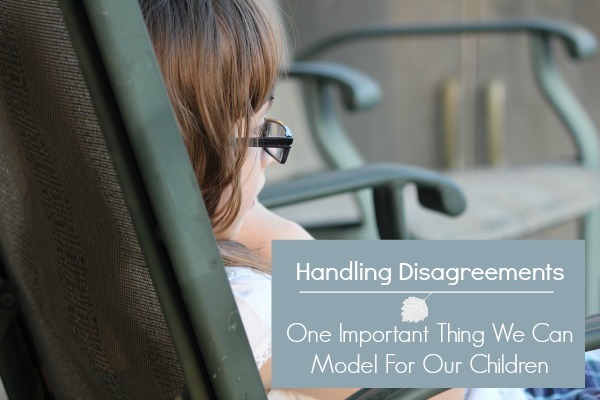 So, do you have disagreements with the adults in your child’s lives? How do you handle these? I’d love to hear your thoughts! I have had a very large disagreement with my daughter. Hurtful remarks have come from her and me both on this. I say things sometimes, but I don’t mean them the way she preceives them. She is seeing it one way and I’m seeing it another. She has left me messages on my phone saying “have a nice life mom i’m done”. How am i supposed to take that?